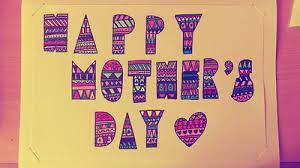 Today is a special day for all the mothers in the world. It’s Mothers’ Day and it is an auspicious occasion for all of us to let our own mom and our children’s mother know how special they are and how their sacrifices and love mean a lot to the family and the society at large. In many countries, children send gifts and flowers to their mothers to honor them for their immense contributions to the family and the nation as a whole. On this special occasion, I am very glad to see my own children prepare Mother’s Day greeting cards for their mom. It’s such a lovely gesture of their appreciation for her love, care and sacrifices for them. My wife is happy to know how much our children value her love and affection. She thanked them for such lovely cards and wishes. We all know that mothers are true angels. They are the ones who nurture us with love, care and see us grow up with a sense of responsibility and independence. It’s true that it’s mother who actually transforms a house into a home and makes sure that we never starve or suffer under any circumstance. She can hide her tears to make us smile and she can comfort us even when she knows nothing good is going to happen. This is one of the most special qualities of a mother. I am sure not all women possess it. I think a woman acquires it only after giving birth to her first baby. As a father, I could only remind my children of this important day to let their mother know how much they love her. But I could not do anything for my own mother. I wish if she were still alive today. I really wish if I could ever get a chance to let my own mother know how much I love her and how she has given me this beautiful life. I have a very vague memory of her. I think she has become only a phantom now. I don’t remember her voice, I don’t remember her face and I don’t even remember how warm her lap and arms felt when she held me as a baby. My late father told me I was about four when she died. The memories of her lying on the hospital bed in Samtse, my late father helping her go to the toilet and people carrying her body for cremation still linger in my brain although they are very faint and distant. My late father used to tell me that she was very worried about my future when she knew she was going to die. She was suffering from tuberculosis which was hardly curable during those days. It seems that her last words to my father before she breathed last were that she really wanted him to send me to school when I grew up. Although so many tragedies befell us since her departure, my father somehow managed to keep her words. Though I lost my sight, I could go to school and receive formal education as wished by my late mother. Today whether I sit in my office or at home, I enjoy love and respect from people around me and I owe this success all to my late mother and my late father. So dear Mother, although you are dead and gone, I would like to remember you deep in my heart on this special occasion and wish you a very happy Mother’s Day. It’s been almost thirty years since you have left this world, but your blood still runs through my nerves. I miss you and I shall remember you in my prayers forever. It’s indeed very painful to celebrate this special day without you. God bless your soul!